Children learn about different contemporary artists, like William Kentridge, Ingrid Calame, Maya Lin, who used maps as their inspiration and sometimes as real objects in their works. Reflecting on the relationship between people and places they create a piece of art of their own. 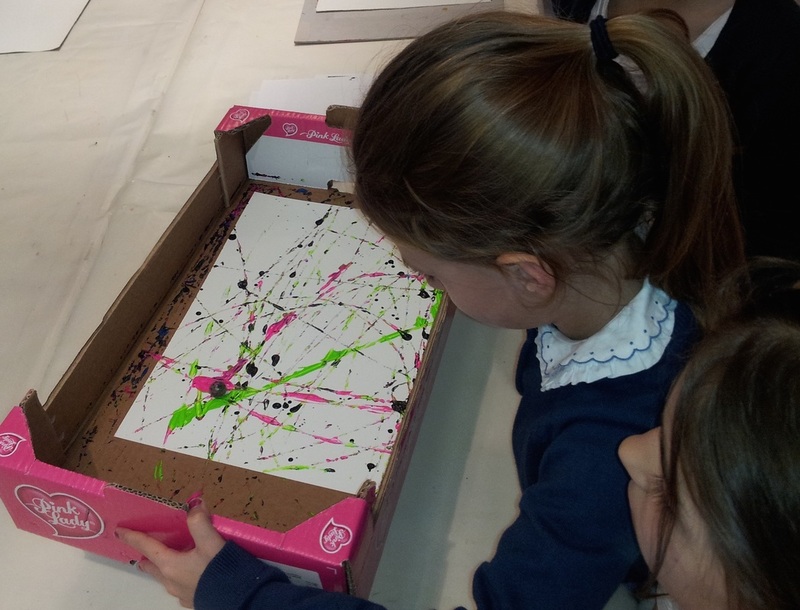 Children learn how artists like Jackson Pollock or Lee Krasner used new methods of applying colours creating a new approach to painting.They experiment with different and interesting painting techniques producing an original canvas inspired by abstract expressionism. 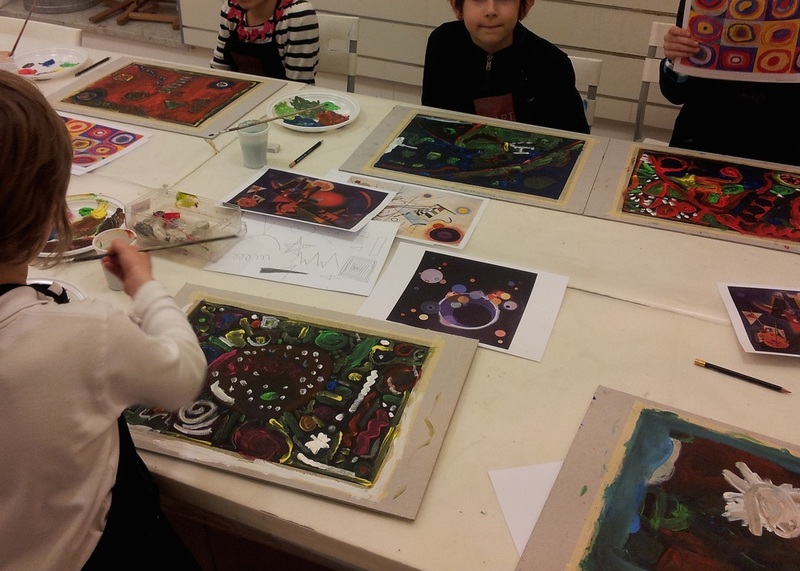 Children learn how great artists like Kandinsky, used lines and shapes to express their feelings and emotions. They are engaged with drawing lines and shapes and paint a canvas inspired by the colours and techniques of Modern Abstract Art. Children look at portraits and self-portraits by great artists like Picasso, Warhol and De Chirico. 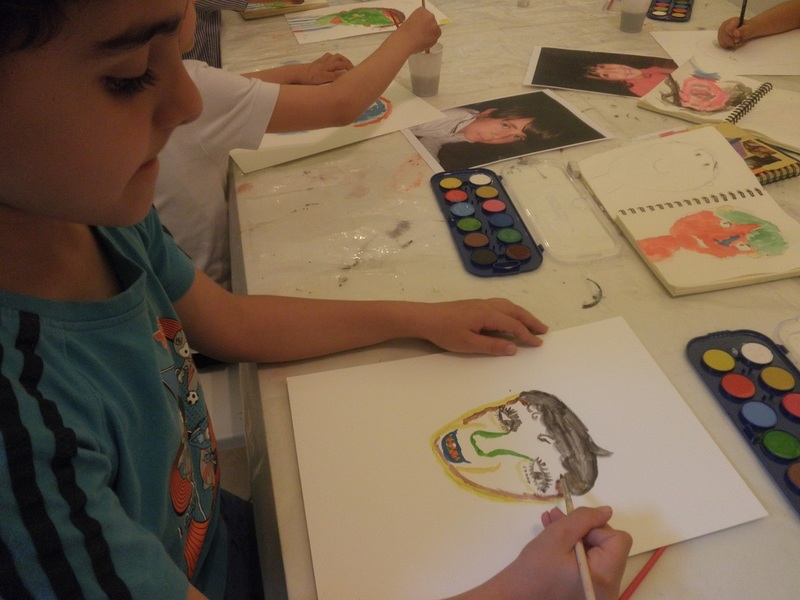 They are engaged with drawing and painting their own self-portrait reflecting on how we see ourselves. Children analyse works by Futurist and Surrealist artists and are inspired by words and poetry for their own pieces of art. 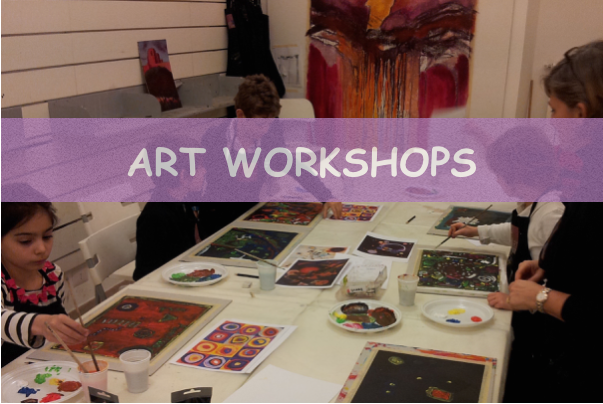 They are engaged with drawing, painting and writing while creating their own "word artwork". 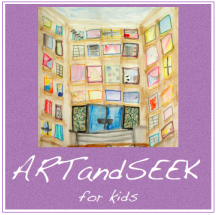 Children analyse works inspired by architecture and cities, such as "Paris through Window" by Chagall and real buildings like the Guggenheim Museum of Bilbao. 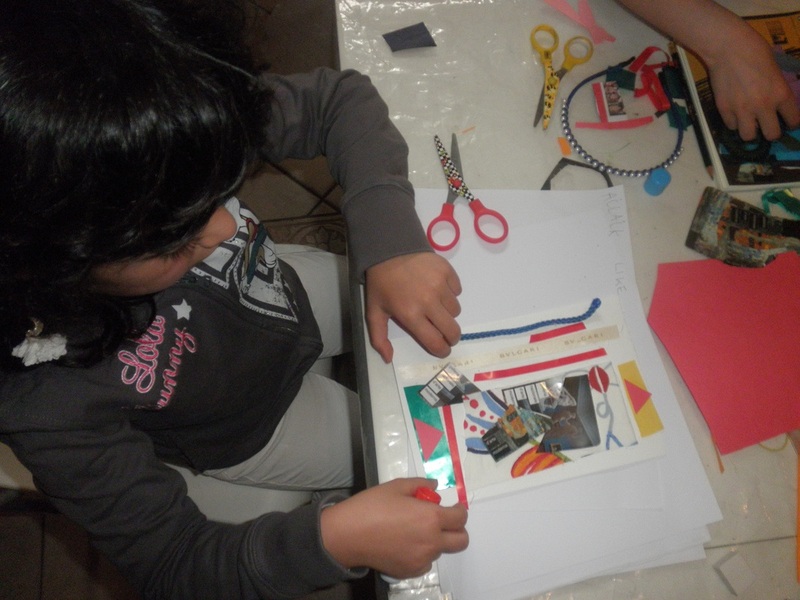 They are engaged with drawing, painting and collage while creating their ideal city.